be quiet! 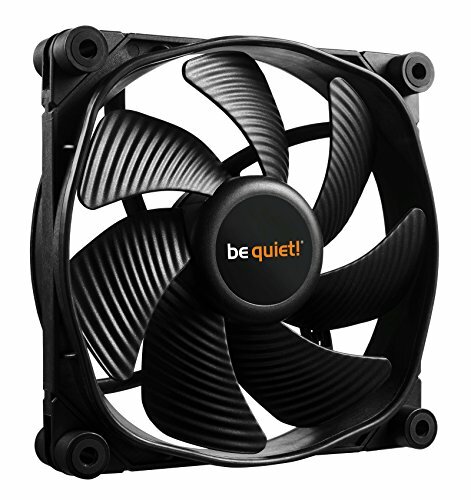 SilentWings fans stand for state-of-the-art technology, virtually inaudible operation and superior cooling. The third generation of this award-winning fan series offers unrivaled and uncompromising performance with a broad range of meticulous optimizations. They feature a smooth-running 6-pole motor, an advanced fluid-dynamic bearing, a unique airflow-optimized fan blade design and a fan frame with funnel-shaped air inlets. The SilentWings 3 120mm PWM high-speed model combines all of the above best-in-class features. The extremely high air pressure produced makes the fan especially suitable for use in powerful water cooling and air cooling set ups.